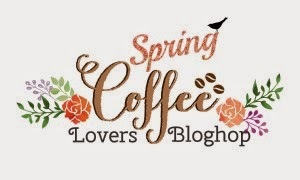 Today I am joining my fellow coffee-loving card-making friends in the fun event Coffee Lovers Blog Hop (Spring Edition). As I am typing this post, I am having a cup of coffee! 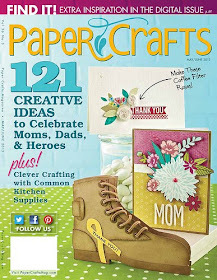 Paper crafting/blogging and coffee play a huge part in my daily life. 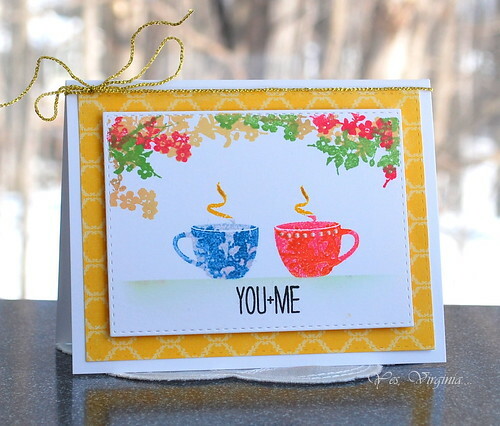 For my Spring-themed coffee/tea design, I used the new Penny Blacks' You and Me Stamp set. I chose the coffee/tea cup image and applied "Kissing" technique. The blue cup is more obvious with the Kissing technique. For the other cup, I mixed orange and pink colors, but the "kissing" effect is more subtle. The images on the cups are from the flower/tree stamp (see the very top of the stamp). I also stamped the the same flower/tree image on the top border. 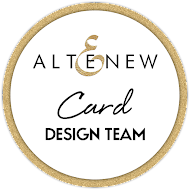 Does this card make you feel like you are enjoying a cup of coffee in a Parisian cafe!? No? The linking ends on Friday, March 6th @ 11:55 pm. so there is still a lot of time to be part of this. AND there are some awesome sponsors plus prizes form FLASH Sponsors (will be awarded during the week of the hop)! For all the details about this hop, please see here (my link no is 128). I have been making cards with FLOWERS! Can you blame me? I think not. 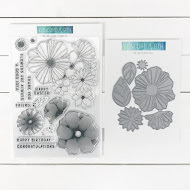 The "culprit" is this stamp set "Artful Flowers" from Simon Says Stamp. I took out a few colors that I love. These are mostly inks from Simon Says Stamp's ink collection. The tiny silver dots were stamped in Delicata. 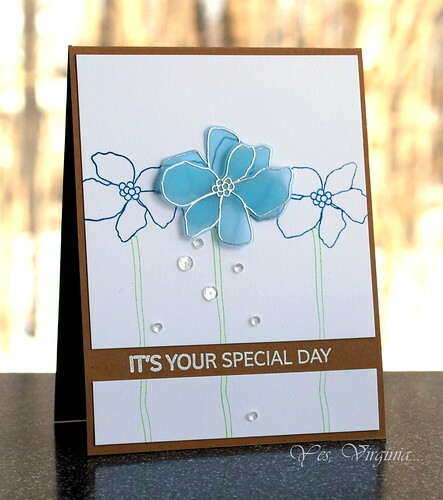 It's a quick way to add silver without embossing! I took a simpler approach for my 2nd card. 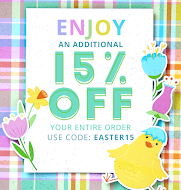 The sentiment is from Flight of Fancy (Clearly Besotted Stamps). 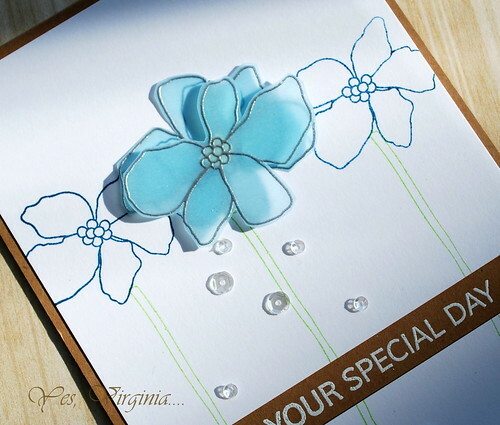 Two things about this card--blue vellum and silver-embossing. Done. I am keeping this post short and sweet! Hope you all have a fabulous day! Am I the only one who has not yet tried dry-embossing with a stencil? I have seen it done before. This video might help you to get the visual if this is unfamiliar to you. I finally made my first attempt to try it! You might wonder what the benefits are in using a stencil to dry-emboss? 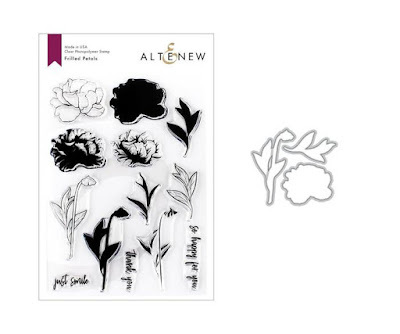 1. it's a great way to stretch your stencil supplies. 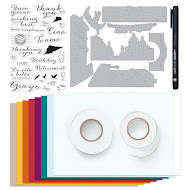 Honestly, stencils are generally cheaper than the embossing folders (say, from Sizzix, Cuttlebug). They come in small sizes, too. 2. the background is subtle. It's clear that using stencils to dry-emboss the background creates a subtle imprint. I personally find that the dry-embossed background with the conventional folders can DISTRACT the overall design. 3. need I say more? So, this is how I did it--sandwich the paper between the shim/embossing pad and stencil. Arrange the plates like you normally do with your die cut machine. I ran this 2-3 times just to make sure since my old Cuttlebug plates are being replaced soon. 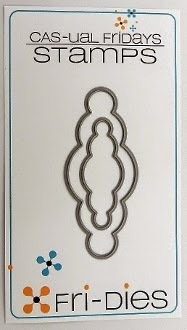 You do need a soft foam/embossing pad to add that pressure to the stencil and plates. I got some new Spectrum Aqua (Primary and Essential ) recently. Those markers are remarkable!! 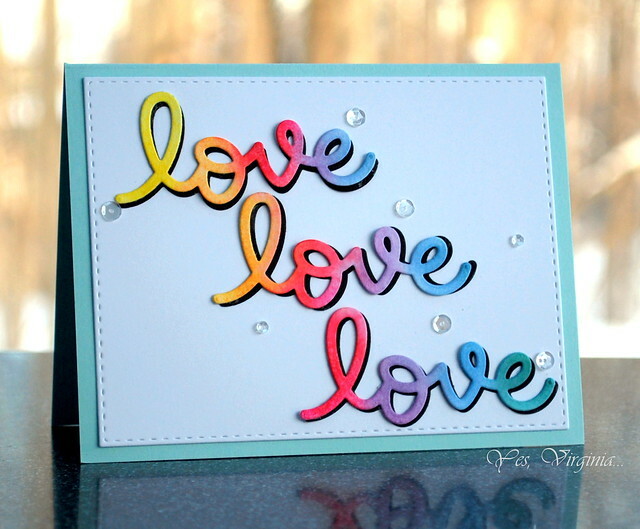 I actually stamped the sentiment AFTER the dry-embossing--NO problem! 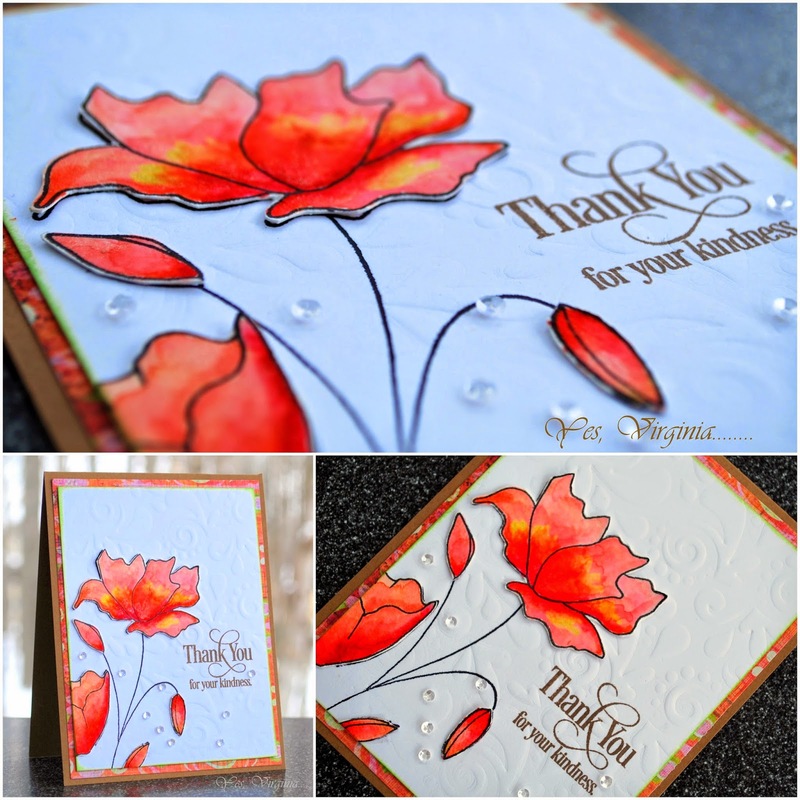 I used Swirls and Dots stencil and Penny Black's new stamp Divine. 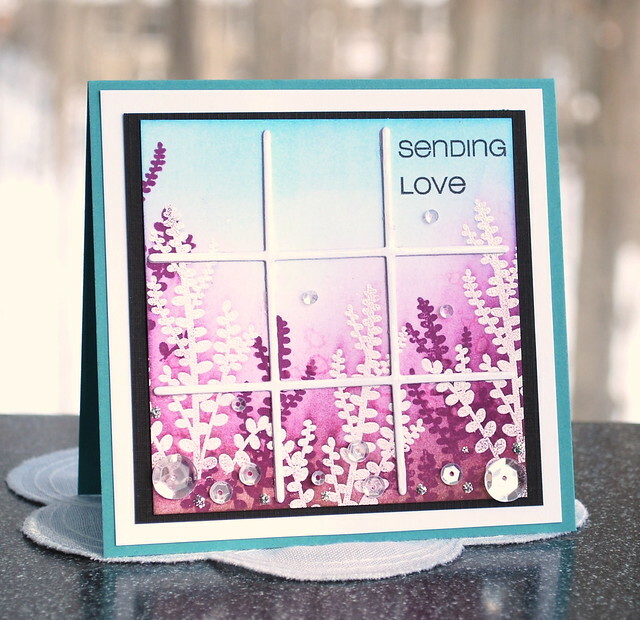 The texture from the dry embossing is so subtle yet it still adds a little something something to the overall design. Less is more....right? I hope this gives you some inspiration if you have not used stencil to dry emboss. For my card, I used Scripty Love. 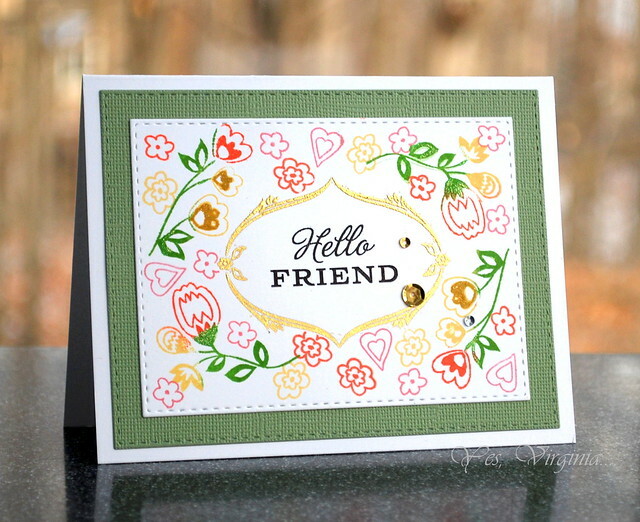 I think I am addicted to the Lawn Fawn Word dies. I've got Scripty Joy and Scripty Thanks. The next one for me to get is Scripty Hugs. How did I come about the design? I simply created a colorful background with swipes of Distress Inks and then made the die cut accordingly. Noticed I also used a black die underneath the colorful ones? Yup, it's the little things..., right? I also used my favorite Stitched Rectangles. Time to post a food photo, too! A DIY Sushi Roll I made last Saturday. 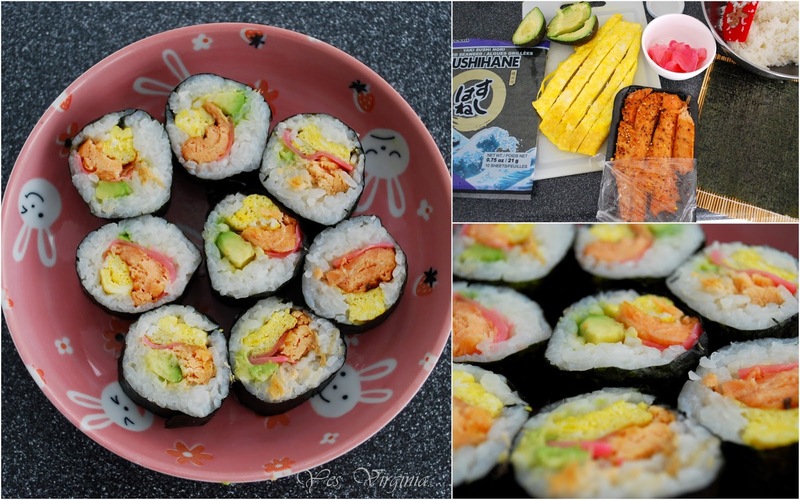 The fillings are store-bought salmon, pickled ginger, eggs and avocado. For the rice: I mixed the rice vinegar with some sugar (rice has to be hot). Glad that I took the photos because they were gone in 10 minutes! 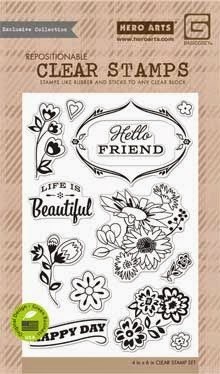 that I love using stamps with outlined and solid flowers. The evidence is here and here. 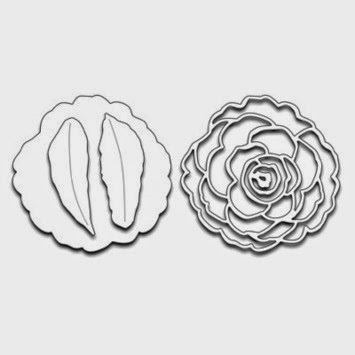 So, what happens if you have outlined and solid flower dies? 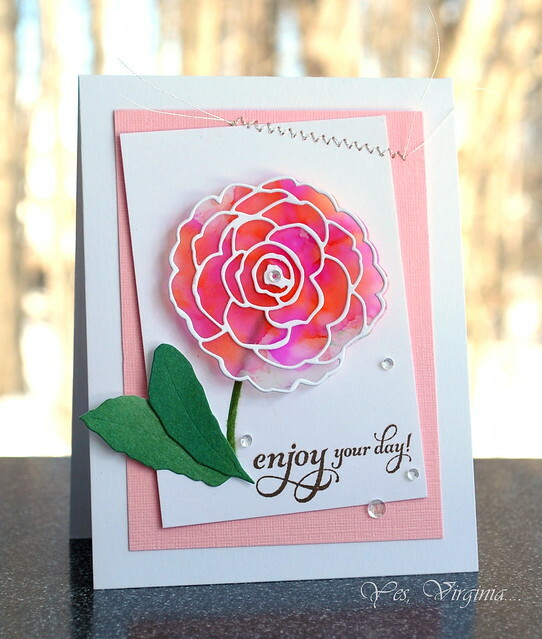 ...enter the Camellia from Penny Black. I tell ya, it's heaven. I made my first two cards and we are in business! Again, I dug out my favorite mediums--vellum and alcohol inks. I realized that I didn't want to throw away all the small die cut pieces from the petals. I kept a few petals and I love this look!!! 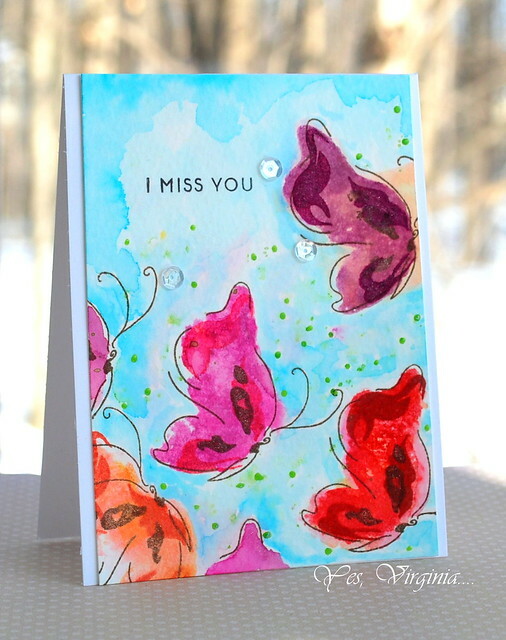 The splatter is a mix of alcohol inks and blending solution. I added the white outlined flower and did some hand-stitching (top right corner). 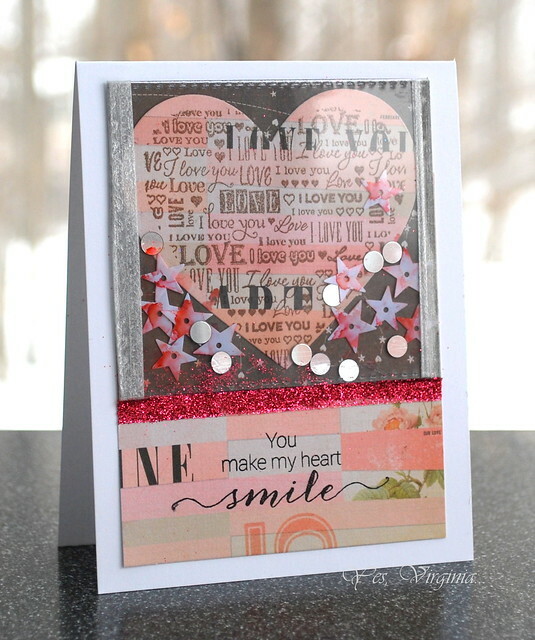 Both sentiments are from this lovely set called Heartfelt. 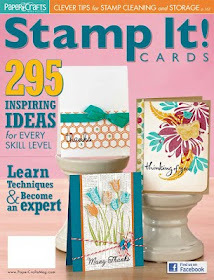 New Release from Simon Says Stamp-Hop To It! If you are here for the Hero Arts Hostess Blog Hop, please click here. 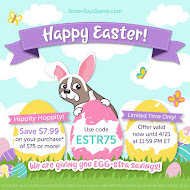 Simon Says Stamp is having a new release called "Hop To It"! 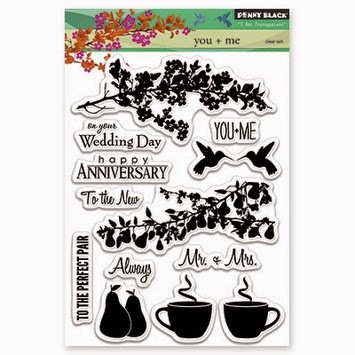 This set comes with three solid flower images and three outline flowers...LOVE! I had a lot of fun creating this one layer card. I adore the font in this set, too. Somehow those masked borders leave your imagination running wild! LOL. 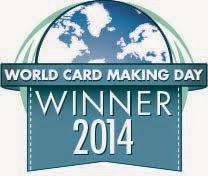 Yeah, we are talking about CARDS, not 50 Shades of Grey! 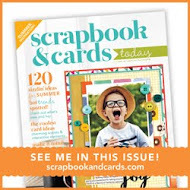 I hope that you check out the new release (see more inspiration here) and put them on your wish list. 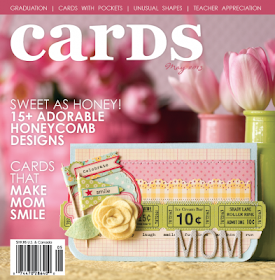 Today is Day 3 of the Hero Arts Spring Catalog Blog Hop. This hop begins at the Hero Arts blog. Here is Day 1 and Day 2. 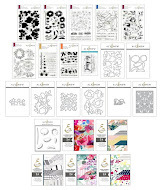 Prize alert-->Hero Arts will be giving away three prize packs containing an assortment of Hero Arts goodies (new 2015 Spring Catalog included!). The commenting deadline is Sunday, February 22 at 11:59pm PST. From all eligible comments, three winners will be selected at random and announced on the Hero Arts blog next week. 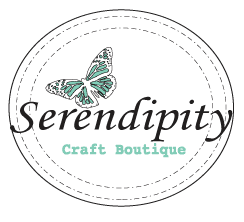 I am honored to be part of the Hero Arts Hostess Blog Hop. Back in 2009, I was selected as one of the hostesses in Hero Arts Flickr Group. 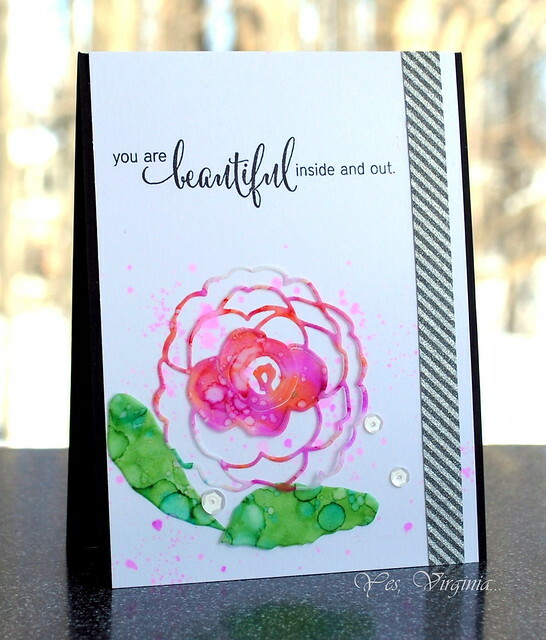 This happened early in my online stamping life and it certainly gave me the confidence and tremendous encouragement to my stamping. To this day, I am most grateful for that incredible opportunity! 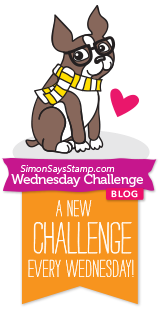 Let's get the hostess blog hop started, shall we? I hope that you get some ideas about this awesome stamp release. I know I will reach for these stamps again and again! 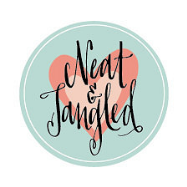 The sweet and talented Heather' blog is your next stop! 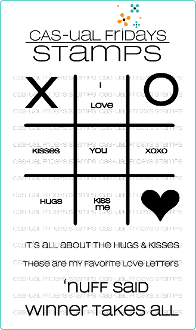 If you find a broken link, please visit Hero Arts Blog. Be sure to leave a comment along the hops, so you will have a chance to win some new Hero Arts goodies! 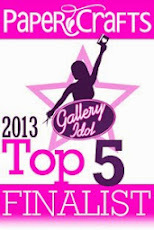 Big thanks to Hero Arts for inviting me and other hostessed for this fun event. 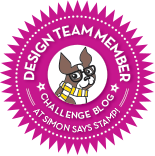 I used all Simon Says Stamp products in this card. 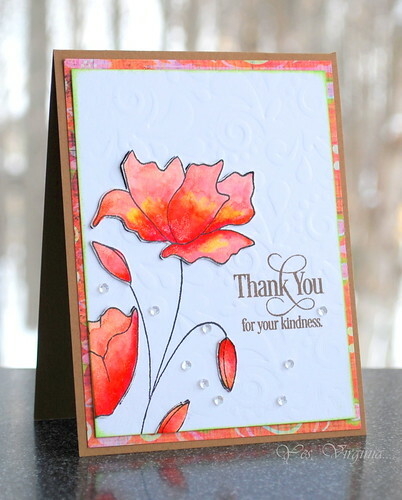 The only stamping I did was the small sentiment (from Sending and Wishing). 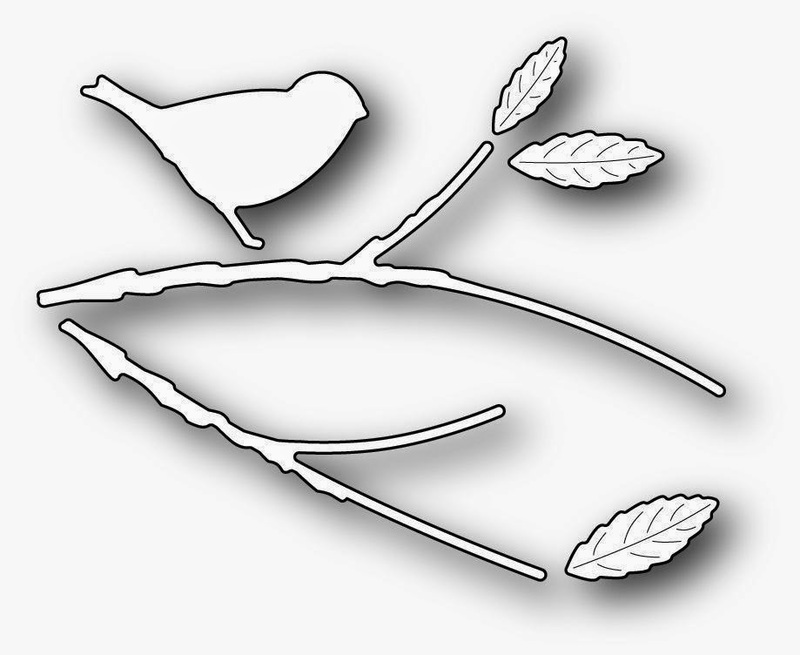 The cool thing about this die Songbird Branch is that you can arrange it however you like it. In my card, I turned it into an anniversary/wedding card. Aren't the love birds cute in their "nest"? 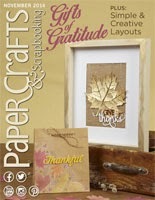 I am loving the Stitched Rectangle for almost every card I made. The stitched details really enhances the overall design. I also used it to die cut the burlap, but you can't see the stitched details on it. The word die Wishing is pretty handy, too! 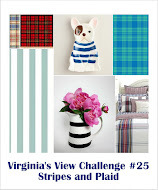 Here's what's next in my blog tomorrow at 7 am Eastern Time. I have some NEW projects to share! 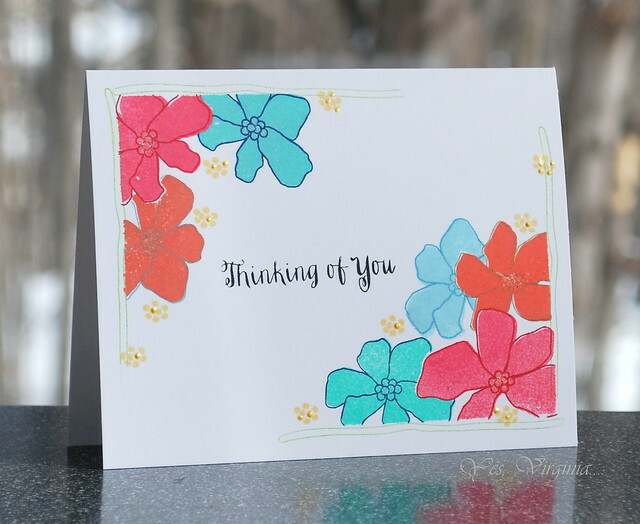 Do you find that every time you make a card and you have some rough ideas how you want to proceed.....and then the card turned out differently than you had planned. That is because every card has a life of its own. Isn't this the BEAUTY of hand made cards? I also used Stitched Rectangles (Simon Says Stamp) to make the design more refined. The key is to start something large, then mid -size, then use the smallest image to fill in the gaps/small spaces. I think it worked, huh? Hope your day is going well. Thanks for stopping by! It's been a long winter, hasn't it? Water-coloring comes to the rescue! I made a simple card to share with you. It's a flat card with acetate! Lastly, I am ending the post with something SWEET! Wish you and your Valentine a day of love and laughter. 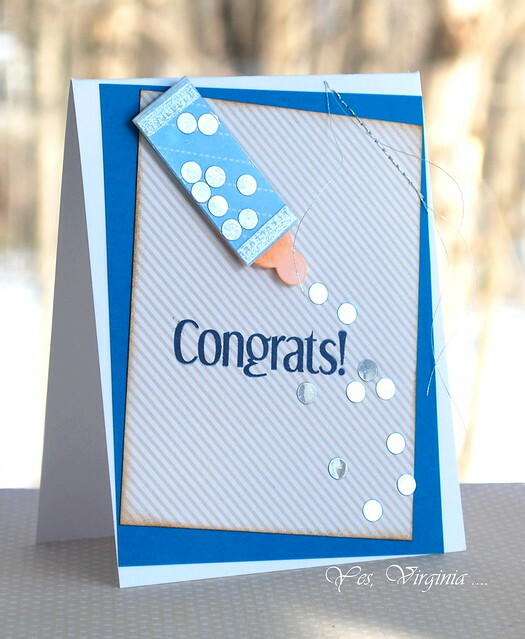 First card is a Congratulations card for a New Baby. You may not recognize what Fri-Die I used...but this card surely was not hard to create. I created a window scene with CAS-ual Comfort. I like the simplicity of this card. With the Ti Tac Toe Fri-Dies, the window was easy to do. I added an extra die to add the thickness for the window pane. I think it worked! Please leave me your comments and feedback over CAS-ual Fridays Blog. 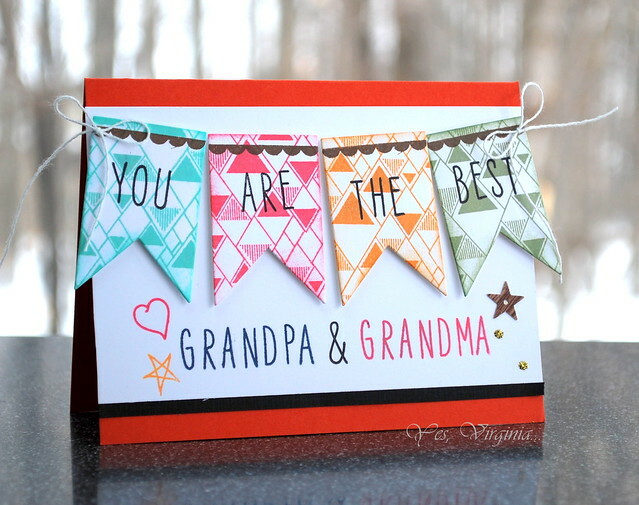 For my card, I used Paper Smooches' Gift Tags and Bee Mine. The design is super simple. 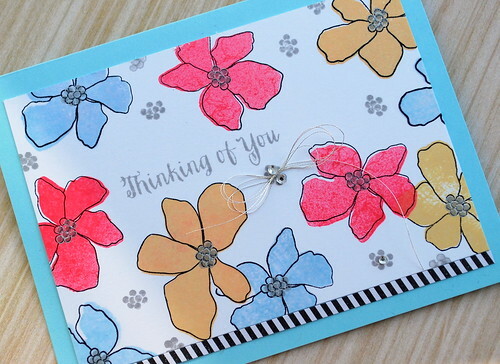 All you need is a little cute critter (like a lady bug), some dies and pattern paper, and you are good to go! I love how the font look and couldn't help coloring the small spaces to make the colors pop more! I used Stitched Rectangles (Simon Says Stamp) to cut out the pattern paper. Love that polished look!